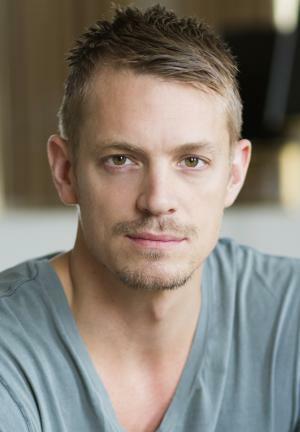 Born Charles Joel Nordström Kinnaman on the 25th November 1979 in Stockholm, Sweden, he is an actor, best known to the world for appearing in the films “RoboCop” (2014) as Alex Murphy/RoboCop, “Run All Night” (2015) as Mike Conlon, and in the TV series “The Killing” (2011-2014), as Stephen Holder. Joel`s career began in the early ‘90s. Have you ever wondered how rich Joel Kinnaman is, as of late 2016? According to authoritative sources, it has been estimated that Joel`s net worth is as high as $6 million, earned largely through his successful career as an actor. Son of a Swedish mother, Bitte and American father Steve Kinnaman who also has Irish, English, German and Scottish ancestry, Joel now has two citizenships, American and Swedish, and speaking fluently English and Swedish. His career began when he was 11, as he featured in the TV series “Storstad”, but then focused on education, and didn’t return to acting until the early ‘00s. He started with the Swedish film “The Invisible” in 2002, and then enrolled at the Swedish Academic School of Drama in Malmö. During his studies, Joel was quite active as an actor, appearing in several films such as “A Different Way”, “Storm” (2005), and “God Save the King” (2005), which laid the base of his net worth. After he graduated, Joel continued with his career, and in 2008 appeared in the action adventure “Arn: The Kingdom at the End of the Road”, directed by Peter Flinth, and in 2009 had the lead role in the film “In Your Veins”, for which he received critical praise which propelled him into stardom. After that, he was cast in the role of Frank Wagner in the film series “Johan Falk”, with the first installment in 2009, appearing in the 10 sequels, all of which helped increase his net worth by a large margin. In 2010 he had the lead role in the film “Easy Money”, which brought his name to international recognition. He repeated the role in sequels “Easy Money II: Hard to Kill” (2012), and “Easy Money III: Life Deluxe” (2013). This turned out to be fruitful, as he then had a part in the film “The Darkest Hour” in 2011, and also in the Oscar-awarded mystery drama “The Girl with the Dragon Tattoo”, next to Daniel Craig and Rooney Mara. 2011 continued prosperously for Joel, as he was cast in the role of Stephen Holder in the TV series “The Killing”, and appeared in 44 episodes until 2014. His next big role was as Alex Murphy/RoboCop in the reboot of “RoboCop” (2014), directed by José Padilha, with Gary Oldman and Michael Keaton. In 2015 he featured in Terrence Malick`s romantic drama “Knight of Cups” starring Christian Bale, Kate Blanchet and Natalie Portman, and in Jaume Collet-Serra`s action drama “Run All Night”, featuring Liam Neeson and Ed Harris, which only improved his net worth by a large margin. Most recently, Joel appeared as Will Conway in eight episodes of “House of Cards” (2016), then in David Ayer`s “Suicide Squad” (2016) as Rick Flag, next to Jared Leto, Margot Robbie and Will Smith, adding a considerable amount to his net worth. Regarding his personal life, Joel has been married to Cleo Wattenström since April 2016; they had been in a relationship since 2014. 1 There's a lot of neuroscience now raising the question, 'Is all the intelligence in the human body in the brain? ', and they're finding out that, no, it's not like that. The body has intelligence itself, and we're much more of an organic creature in that way. 2 I usually have pretty good intuition on projects that I work on. 3 I think I've seen the first 'RoboCop' like 15 or 20 times. I'm like a kid that way. 4 Swedes are a really humble and shy people in many ways, but I think it's pretty much the same as in the U.S. Little girls want to take photographs with me at lunch. 5 I don't think there have been many alien movies where the actors have actually seen the aliens. 6 I hate pork rinds. I couldn't imagine how anybody would ever get the idea of taking skin from a pig and frying it and then trying to sell it to people. And then people actually buy it to eat it. That is the true sign of the decline of the human race. 7 We're all a big hippie family so I got five sisters and a bunch of different mothers. Not really, but my sisters' mothers are all good friends with my mother. We're a big family, 25 people. 8 Being an actor in movies is a lot about the power of your imagination and making the circumstance real to you so the audience will feel that it's real. 9 I think for a lot of people that had seen me do 'Snabba Cash,' after watching 'The Killing,' I think they got a sense that I could do different kinds of characters. 10 I went to high school in Texas for one year, my senior year. My parents wanted me to get out of Stockholm because I was running with the wrong crew. They wanted me to get back to my roots. 11 It's technically demanding to shoot in 3-D. It's an extra element. Also, just the size of the cameras. They look like these 'Transformers' monsters; they are incredibly big, many of them. 12 'The Killing' has a really great combination of qualities: Even though it's very sad and deals with mourning and grief, it's still exciting. It's about real people and it doesn't shy from the painful points of life. 13 We don't know why we are here and the context of our role in the universe, and the thought of an infinite universe. It's something the human mind can't really grasp. It's statistically impossible that there's not life on other planets. 14 We all can relate to people's weaknesses. We might put up a facade that everything is perfect but none of us are. When we see that weakness in somebody else, we understand or give ourselves a little bit of leeway. 15 I really want to live in New York. That's the city of my dreams. 16 I always look for good stories and good characters, and if they're placed in a whodunit, then I'm interested. 17 I miss the Swedish women on the first day of spring cause they all just blossom in the most incredible way. 18 In Sweden, I went to an English school, where there was a mishmash of people from all over the world. Some were diplomatic kids with a lot of money, some were ghetto kids who came up from the suburbs, and I grew up in between. There's a community of second generation immigrants, and I became part of that because I had an American father. 19 I've worked with really great female directors in Sweden, too. It's funny, because "The Killing" has really been a strongly female-driven show. The producers, the show runner, the lead: they're all women. I have a Jewish mother and five sisters and all my representation but one are women, so my life is run by strong women. 1 Was in a short-term relationship with Jane Timglas and Olivia Munn. 2 In 2016, he married model/tattoo artist Cleo Wattenström. 3 Joel's paternal grandparents were David H. Kinnaman, from Perry Township, Marion County, Indiana, and Rosalie L. (Mitchell), from Kansas City, Kansas. Joel's father's ancestry includes German, English, Scottish, and Irish. Joel's mother is of Swedish Jewish background (she is descended from Ukrainian Jewish immigrants to Sweden). 4 Half-brother of actress Melinda Kinnaman. He has four other sisters. 5 Joel holds both Swedish and American citizenship. His father is American-born and his mother is Swedish-born.